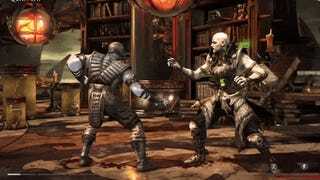 Thanks to a recent Mortal Kombat X update we now have a few more options when it comes to finishing a match as savagely as possible. Lotta bodies in that water. While none of these match the awesomeness of the old lady brutality, it’s nice that the developers are still adding cool new touches to the game after launch.